Lovin’ Spoonfuls is dedicated to facilitating the rescue and distribution of healthy, fresh food that would otherwise be discarded. We work to efficiently deliver this food directly to the community organizations and resources where it can have the greatest impact. Lovin’ Spoonfuls is committed to addressing the health, environmental, and economic impact that food waste has on our community. Lovin’ Spoonfuls is the first organization of its kind in Massachusetts and the largest food rescue agency in New England. Established in 2010, Lovin’ Spoonfuls serves nearly 40 cities and towns across Eastern Massachusetts and works with more than 200 partners. We are committed to increasing awareness on topics related to food waste and hunger, as well as equipping the community we serve with the knowledge that empowers them to feed themselves and their families. 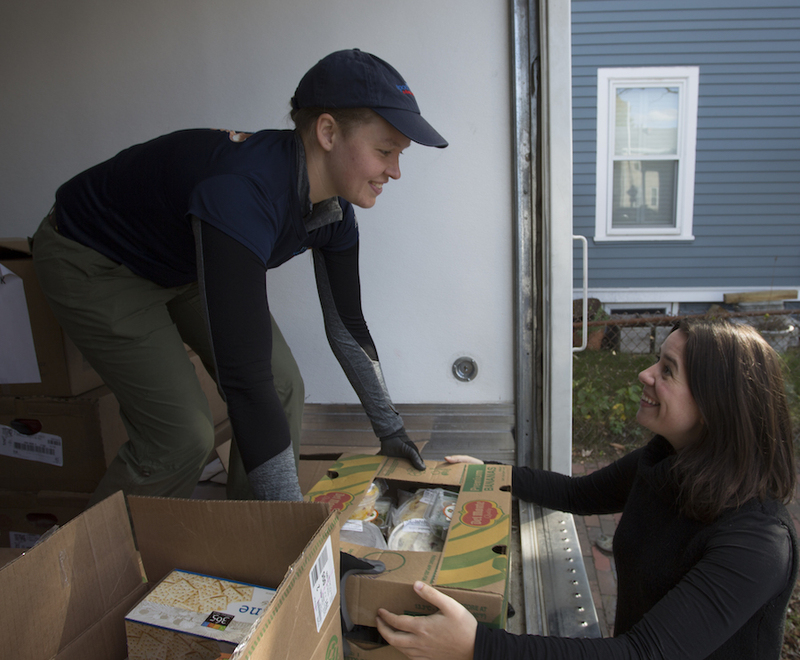 Each week day, our team of highly trained and passionate Food Rescue Coordinators picks up from more than 70 vendor partners in our fleet of refrigerated trucks and delivers the product to nonprofit agencies across Eastern Massachusetts. Our focus is rescuing perishable, nutritious food — fruits and vegetables, dairy, proteins and prepared foods — in order to help meet the nutritional needs of food insecure individuals in our communities. Our timely rescue of food that has been deemed no longer salable — slightly bruised produce, dairy nearing its sell-by date, or perfectly good food products that are determined to be excess — provides meals to more than 30,000 individuals each week. We pick up culled product from grocery stores, produce wholesalers, farms and farmers markets. We deliver to over 140 nonprofit partners, which include homeless shelters, crisis centers, food pantries, after-school programs, veterans service agencies and senior centers that feed hungry people across Greater Boston and MetroWest. By focusing on rescuing and delivering fresh and prepared foods, enabled by our same-day deliveries in refrigerated trucks, we provide healthier and more desirable food to our beneficiaries compared to typical hunger relief efforts. Each highly trained Food Rescue Coordinator picks up and delivers to the same organizations each week on a meticulously planned route, enabling them to develop a personal relationship with beneficiaries and learn what they can use most. Throughout the day, each Food Rescue Coordinator calculates and sets aside specific items for upcoming beneficiary stops to best match their needs. Watch this video to learn more about our operations. Filmed by Katy Jordan and Jon Mercer. Handling perishable and prepared foods requires attention to detail and compliance with the regulations set by the state of Massachusetts. Lovin’ Spoonfuls’ Food Rescue Coordinators are ServSafe certified, trained in responsible and efficient food handling over a period of three months.